Aetna International currently provides coverage for tens of thousands of Expatriates, Third-Country Nationals, and Local Nationals located and/or traveling throughout nearly 100 countries around the world. With a broad product portfolio and a significant membership base, Aetna International is a leading provider of global health care benefits. Aetna International Expatriate Trust plan is designed for small expatriate groups of 2 to 20 eligible employees. The plan has a comprehensive level of medical benefits, four different deductible and co-insurance options and a selection of optional benefits. Your expatriate employees can choose between seeking care in the country of assignment or anywhere in the world including the United States. Dependents of expatriate employees residing in the U.S. can also be covered under International Expatriate Trust. 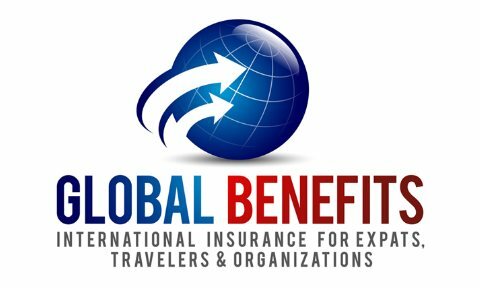 Global Benefits can create an appropriate solution to meet your organization's expatriate benefit needs. In some cases, Global Benefits and Aetna International have worked together to create a custom plan for a client's unique requirements. We would be happy to discuss your specific needs with you. Contact Global Benefits. The International Expatriate Trust plan meets these two important Federal laws concerning continuing coverage, post-employment coverage and healthcare portability. While the Global Health Advantage plan is COBRA compliant, CIGNA Int’l does not provide COBRA administration. Consistent with HIPAA guidelines, CIGNA International will recognize Certificates of Credible coverage for employees joining the plan. Many international expatriate insurance plans offer limited choice of benefits – typically medical and dental only. The International Expatriate Trust plan has a complement of optional benefits including: Life/AD&D, Evacuation/Repatriation and Long Term Disability insurance. All four versions of the International Expatriate Trust plan share these common benefits. Customization – If your company requires coverage not found with the International Expatriate Trust, please contact us. We can assist you with designing a plan under Aetna International’s “Custom Medical Plans” program. Custom Medical Plans offer the employer the flexibility to change certain plan benefits to meet its expatriate employees' needs. The International Expatriate Trust is available in four different plan choices – PPO 1, PPO 2, PPO 3 & PPO 4. The main difference between these plans is the deductible and co-insurance levels. International Expatriate Trust offers two levels of dental coverage, Plan 1 & Plan 2. All levels include coverage for Preventative Services, Basic Services and Major Services. Plan 2 includes Orthodontia for children. Aetna International will pay 100% of the cost of a medical evacuation or repatriation. Medical expenses associated with an evacuation are also covered. This benefit is not subject to a deductible but does require Aetna’s assistance team to coordinate the medical evacuation or repatriation. Groups of 10+ to are able to purchase Long Term Disability insurance as a separate product. International life insurance is one of the most difficult types of coverage to find for groups fewer than 10 lives. The problem is compounded for expatriate employees working in higher risk countries. All International Expatriate Trust plans allow groups to purchase Life/AD&D with a maximum benefit of $300,000. Aetna International offers a number of unique tools and services to provide expatriate members the resources they need to be successful. By using these tools and services, members can locate quality healthcare quickly and Aetna International can arrange to pay providers directly. This allows expatriate employees and their dependents to focus on their overseas assignment. Employers – Identify covered employees, online enrollment service to monitor or update information, and access the billing management system. Aetna International pioneered the concept of an "international health care concierge". This means that we put our members at the center of everything we do, and want to make sure they are satisfied the first time—and every time—they interact with us. Aetna International members receive a number of emergency travel resources as part of their plan. Aetna International provides a number of services and resources that exceed simply providing medical care. Aetna International headquarters provide coordination of care, outreach to providers around the world and intervention to ensure members receive the best care possible. Unfamiliar health care systems, procedures, foreign currency… there are many things to consider when going on an international assignment. Our International Health Advisory Team (IHAT) was created to help members prepare for their transition. IHAT is a personalized, innovative model that includes both Aetna health care professionals and our best-in-class strategic partners, who offer the highest level of services designed to meet the unique needs of a global population. IHAT provides members with a single point of contact any time of day or night – ensuring consistency and a higher standard of care. The IHAT team uses state-of-the-art resources to supervise medical evacuations and other emergency assistance. In addition, it coordinates second opinions for complex cases, and provides personalized member outreach, medical case management, and pre-assignment planning -- which can include anything from locating a disease management specialist to helping members obtain medical devices or prescription medications. IHAT's vast clinical knowledge has no geographic borders; the team has extensive experience helping members navigate health delivery systems anywhere in the world. *Informed Health Line Services are provided by Informed Health Line, Inc. Informed Health Line nurses cannot diagnose, prescribe or give medical advice. Members should first contact their doctor with any questions or concerns regarding their health care needs. Personal issues shouldn’t detract from an employee’s health or assignment, however, challenges can arise. This can be especially true when facing the cultural adjustment issues that can be associated with an international relocation. Our International Employee Assistance Program (IEAP) can help employees and their families address issues that may arise while on assignment. Services include 24-hour crisis intervention, up to five counseling sessions (in person or by telephone) per plan year, management consultation, Web-based health and wellness information and self-assessment tools. Our International Disease Management Program can help your employees understand their diabetes, asthma, cancer or coronary artery disease, better manage their condition and ultimately achieve their state of optimal health — all with a helping hand from the International Health Advisory Team (IHAT). Your employees can enjoy education on the basics of pregnancy, healthy eating and exercise, tips for dad/partner, bringing baby home, and more — all on their secure member website. And as always, IHAT is ready to provide the extra clinical support to help your employees know and manage their risk factors. The Wellness Center is available through the secure member website and offers a wealth of health and wellness information on topics such as pre-trip planning, managing a chronic condition, stress management, maternity tips, and more. Wellness Checkpoint is a self-directed online wellness program that provides participants with knowledge about their personal health needs and motivates them to make lasting positive changes. A confidential Health Risk Assessment drives a Personalized Action Plan that covers a range of topics including nutrition, fitness, stress management and more. Aetna International offers members a wide range of options and tools to assist with the claims process. Many of these tools are available through a special member website. We highly recommend that members log on to the AetnaGlobalBenefits.com site in order to access these tools. Members can submit claims to Aetna International in virtually any language and receive reimbursement in a wide range of currencies. Aetna’s multilingual assistance team can help you with hospital admissions; their on-staff physicians can provide medical advice and verify benefits 24/7. Ninety percent of claims are processed within 10 business days. We recommend that you contact Aetna International immediately if you have an emergency, require medical transportation, have an upcoming surgery or need to be hospitalized. Aetna International’s multilingual assistance staff is ready to assist you 24/7. Some services require Aetna International’s coordination in order to be covered. Aetna International has created one of the strongest web tools available to assist members with a wide variety of needs while residing overseas or seeking care back home. With AetnaGlobalBenefits.com, you can research providers that can bill Aetna directly, download claim forms, track claim history and print ID cards. Working with providers that bill Aetna International directly can save you time and energy collecting a reimbursement. Members have access to hundreds of thousands of providers worldwide that will submit claims directly to Aetna International. Aetna International has 7 global offices to serve members located in Tampa, FL USA (2), London, Dubai, Hong Kong, Shanghai & Jakarta. The Aetna Expatriate Trust plan is designed for groups of 2 to 20 expatriate employees. If your organization has one employee then please visit our Travel page. If you have more than 20 employees then please complete the group health questionnaire. Coverage can be terminated by Aetna International if the group falls below two employees. Other eligibility factors such as the employees' ages, their location and nature of work, as well as the local insurance laws may be taken into consideration. If you have a group who may qualify for the Aetna Expatriate Trust plan, please click on the Quote tab and download and Request for Quote form to be forwarded to Global Benefits, or contact us directly. We will work with you to determine whether the Aetna Expatriate Trust program is the right fit for your international employees.